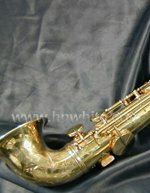 The Saxello is a Bb Soprano saxophone with it's own unique form. 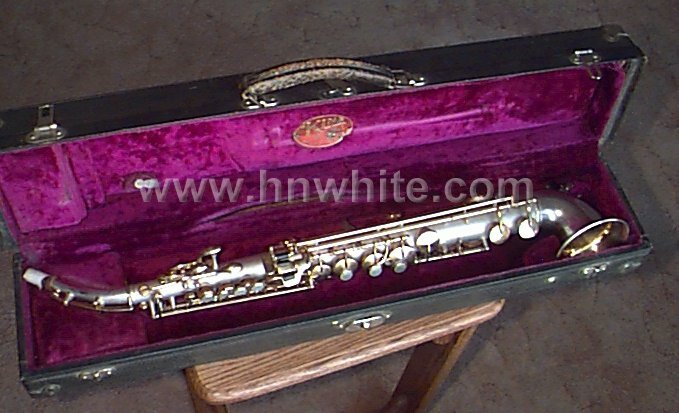 The Saxello was introduced in 1924-25 and had a half turned bell with curved top. 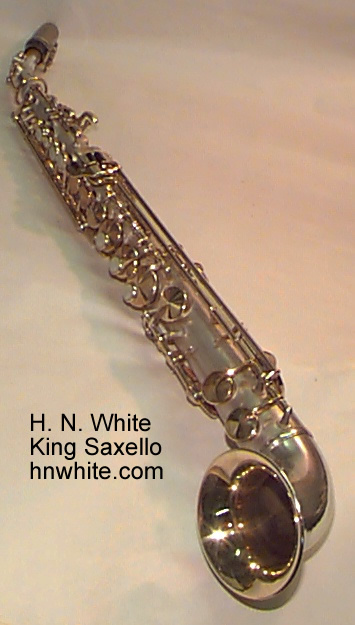 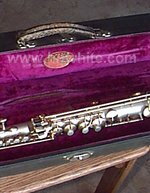 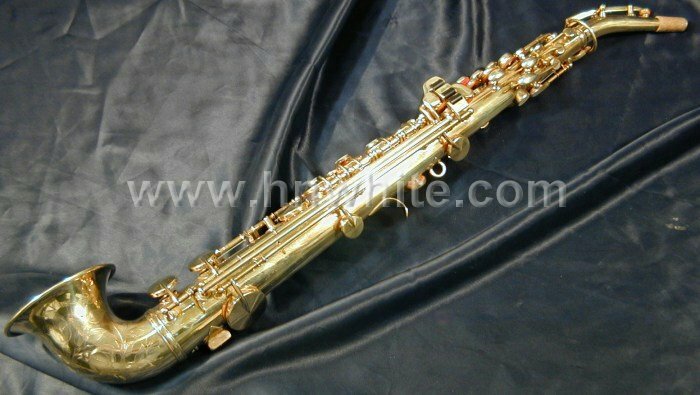 The H. N. White Company felt that the Saxello offered: improved tone, added comfort, ease of playing and better flash. 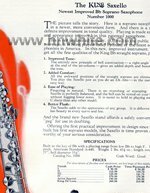 On November 2, 1926 The Saxello was Patented becoming one of the first of many improvements made to King Saxophones. 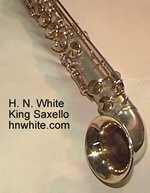 Unfortunately, The Saxello became a victim of the cut backs of the great depression and production stopped in the late 1930's. 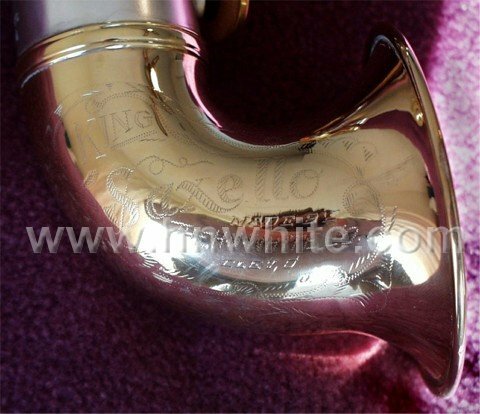 The Saxello was mostly made in satin silver but there were a few made with gold plating and artist engraving. 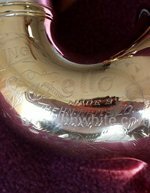 Today top manufactures of musical instruments produce Saxello's for many of the same reasons The H. N. White Company did. 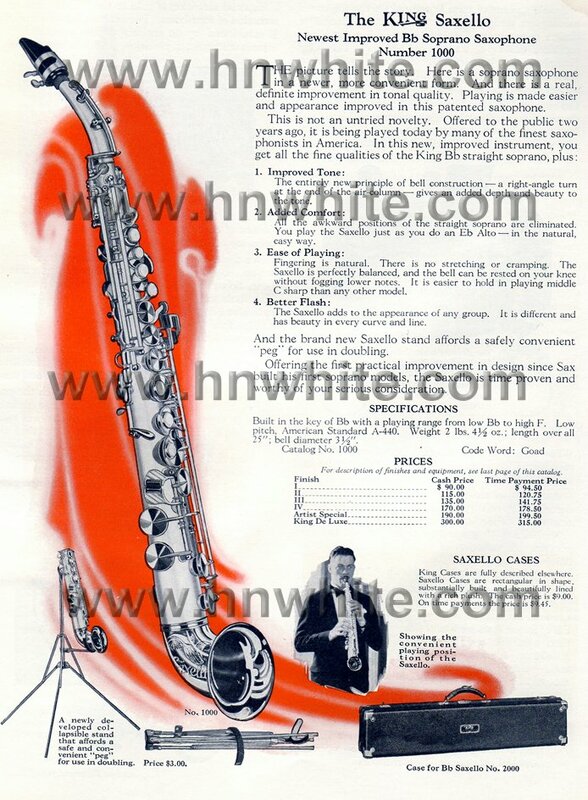 If you have any additional information about the King Saxello or pictures please contact me. 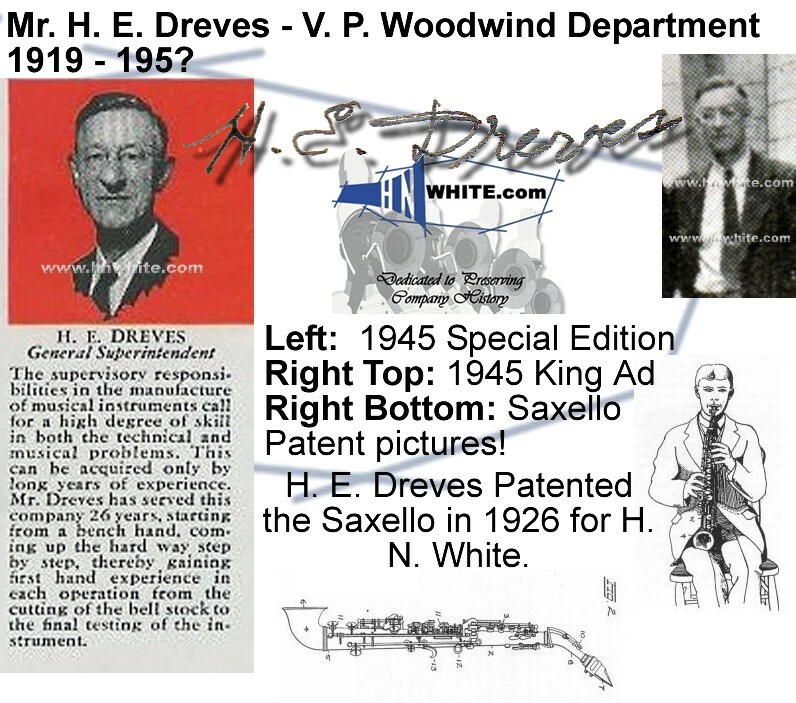 All pictures are property of www.hnwhite.com and may not be reproduced without written consent.